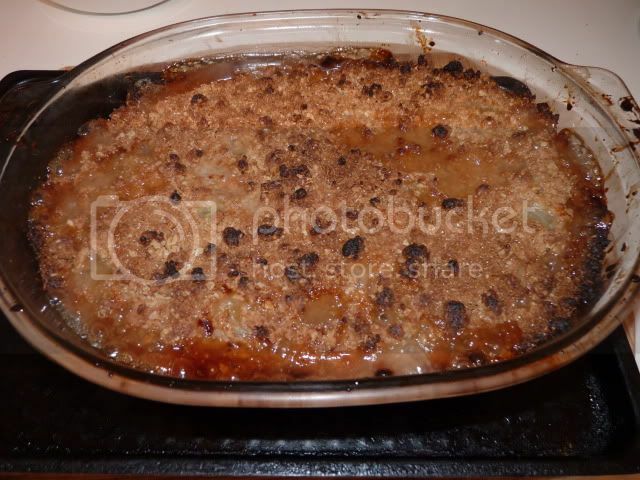 Well with the glut of fruit on our Plot I decided to make a Gooseberry Crumble and a sauce that not only makes a tasty dressing on the icecream but its a crackin standby for when you want to grill mackeral as its a Top sweet and sour sauce that cuts through the Oily fish flavour. 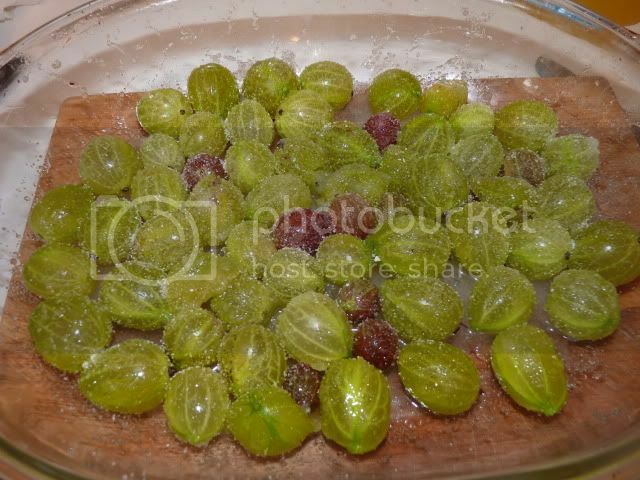 Wash Gooseberries and place in a saucepan with the butter and water,gently heat for 10 mins or so till the fruit has softened. 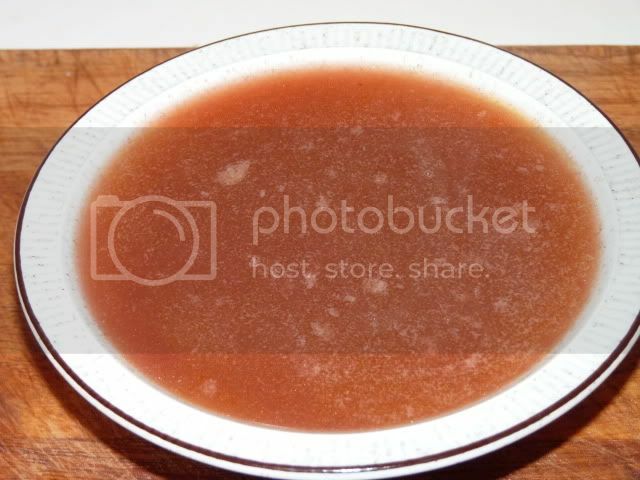 Mash through a strainer and return to the heat,now add the sugar and let it bubble away,the longer you leave it the thicker the consistency.....add more sugar to taste. 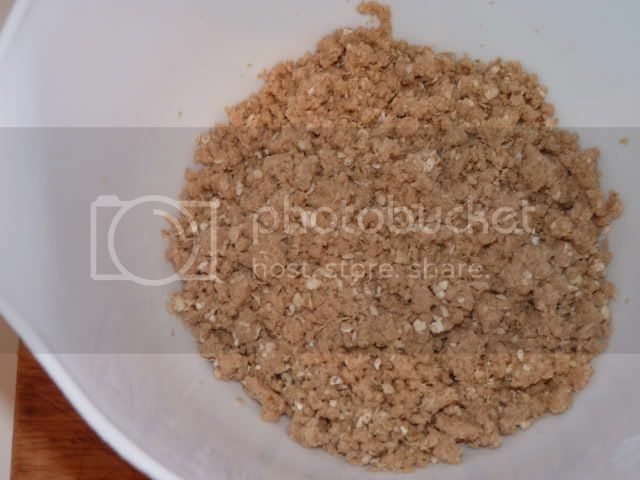 Mix Margarine,Flour and Sugar together to form buttery crumbs,then add Rolled oats to mixture. 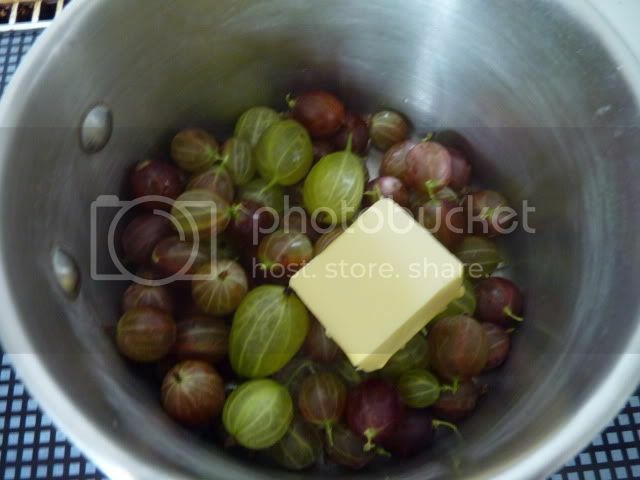 Spread Crumble mixture over Gooseberries in dish and sprinkle more brown sugar over if desired. 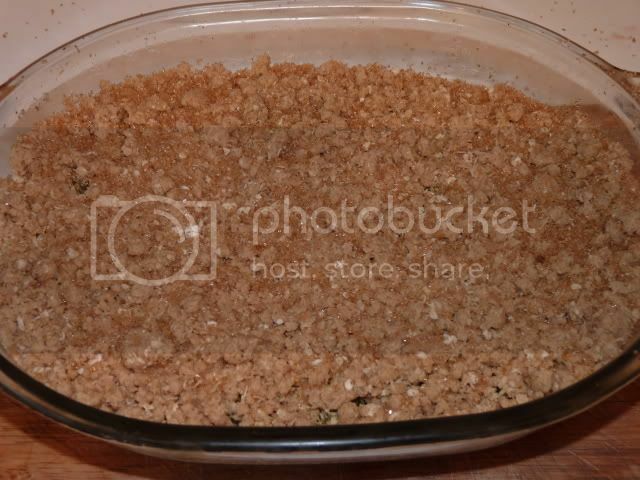 After 30 mins remove from oven or leave to crisp topping for a further 5 mins if liked. 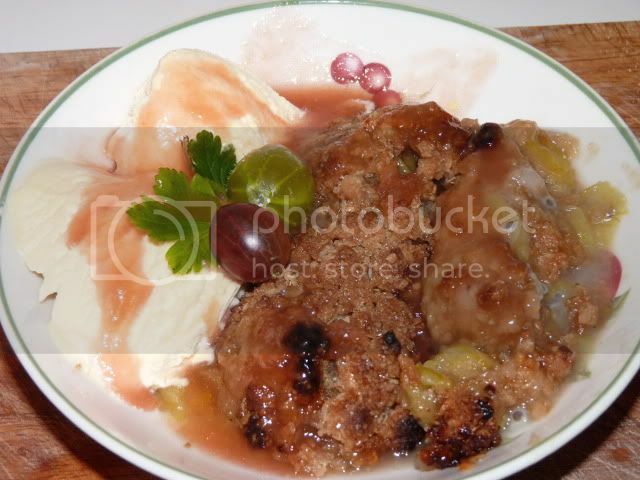 Serve straight away with Ice Cream and pore over Gooseberry sauce.